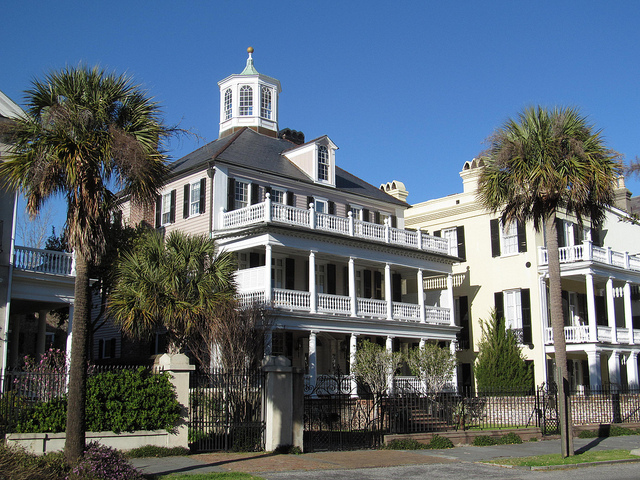 The Southern states are home to historical architecture and a moist, sunny climate. In order to keep their home dry and snug, homeowners interested in Southern roofing should consider materials that will stand up well to rain and stormy weather. The Southern states can experience torrential rains, heavy storms such as hurricanes, humidity, and heat. Consequently, your Southern roofing should be able to endure lots of moisture, protect your home from any potential storms, and keep your home cool during the heat. Read on to learn more about the best materials for Southern roofing. Relatively new, concrete tiles are durable and low maintenance. They are also resistant to problems associated with high levels of moisture, such as rot, mold, and insects. This southern roofing material is much lighter than clay or slate tiles. However, similar to clay tiles, concrete tiles will help keep your home cool. One downside to concrete tiles is their higher price tag. Also, this material occasionally experiences issues with curling, breaking, or changing color. Still, concrete tiles are much more impact-resistant than clay tiles, which can break easily when debris hits them. Concrete tiles might be a good choice if you live in an area that experiences a lot of strong winds and hurricanes. Because of their classic, Spanish-style appearance and their cooling properties, clay tiles are popular in both the Southwest and the South, especially in parts of Florida. Clay tiles are a durable southern roofing material and should last a long time. This Southern roofing material is also resistant to rot and to insects. Downsides to this Southern roofing material include its expensive price and the fact that not all homes can structurally support its weight. Clay tiles require special expertise and installation. As with all roofing projects, homeowners should hire professionals to help install their clay tile roof. Metal roofs are very common in the South because they are lightweight, durable, and virtually maintenance free. Metal roofing also reflects heat and sunlight away from the home, which will keep your interior cooler and improve your home's overall energy efficiency. This Southern roofing material can be made to look like wood shakes, clay tiles, shingles, and Victorian metal tiles. Metal roofing can also be coated with high reflectivity coatings to improve its energy efficiency. If you live in a particularly warm climate like the South, be sure to choose metal roofing that is light-colored or solar reflective, as these will absorb even less heat from the sun. Metal as a Southern roofing material is also a solid choice if you live in areas that experience high winds and hurricanes. Just be sure that your metal roof is screwed on during installation, rather than nailed into place. Because occasional storms, such as hurricanes, are a concern for many homeowners in the South, it's important to consider roof designs that will protect your home from high winds, rain, and falling debris. According to FEMA, sloped roofs stand a much better chance in storms than flat or low-sloped roofs, as a steeper slope will prevent less rain from entering your home if the roof is punctured by debris. To get started choosing the right Southern roofing material and style for your home, check out HomeAdvancement's database of local contractors.